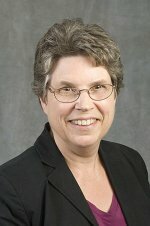 Four researchers at Pacific Northwest National Laboratory, working in the Atmospheric Sciences & Global Change Division are contributing national leadership and technical expertise to address some of the world's most pressing climate change issues by serving on committees for the National Research Council. The NRC is the operating arm of the National Academy of Sciences (NAS), National Academy of Engineering, and Institute of Medicine. The NRC advises the nation on scientific and technical matters and brings together experts in all areas of science and technology to address critical national issues and inform public and federal government policy. Dr. Jae Edmonds, Battelle Fellow at PNNL's Joint Global Change Research Institute (JGCRI)-a partnership between PNNL and the University of Maryland-and Dr. L Ruby Leung, PNNL Laboratory Fellow, served as members of the NRC study committee that produced the report A National Strategy for Advancing Climate Modeling, which was released a few weeks ago. The report outlines several recommendations and guidelines for accelerating progress in climate modeling, including an annual U.S. climate modeling forum to help bring the nation's diverse modeling communities together with the users of climate data. Dr. Elizabeth L. Malone, research scientist at PNNL's JGCRI, served on a separate NRC committee that produced the report Himalayan Glaciers: Climate Change, Water Resources, and Water Security. The report explores how climate change is affecting glaciers across South and Southeast Asia, as well as how these changes will impact regional water supply systems. Glaciers are at the headwaters of several of Asia's major water systems and have an impact on drinking water, irrigation, food, and hydropower for billions of people. 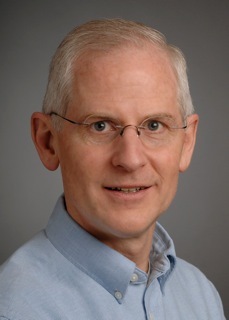 Dr. Richard H. Moss, senior scientist at PNNL's JGCRI, was appointed Chair of the newly established Board on Environmental Change and Society, formerly the Committee on the Human Dimensions of Global Change. 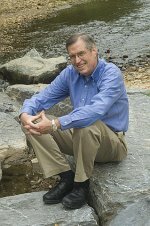 He and committee director Meredith Lane published "Decisionmaking, Transitions, and Resilient Futures" in the Summer 2012 edition of the NAS journal Issues in Science and Technology. The article describes how the Board will address questions about global environmental change and its implications that require social science research to answer. Congratulations to these four scientists who have helped produce groundbreaking reports that serve to shape sound policies, inform public opinion, and advance the pursuit of science and engineering.